I am so honored to share these stories for Heart Month. Several times a week during February, I will share a story of a child living with, or who has been lost to, a pediatric heart disease or defect. I know these stories might be hard to read. It might be tempting to skip over them, because you don’t want to feel sad or hopeless. Don’t turn away from these stories. The very least we can do is to know these children’s names, faces, and stories, as well as those of their parents and siblings. These are stories of inspiration and hope, not just sadness. We honor them by reading. We can save lives by sharing. Let’s show these Heart kids and their families how full of love and hope our Hearts are, during Heart Month, the month of Love. This story was written by Erin, Jameson’s mom. The only contributions I made were slight, grammatical changes. I also provide explanations of abbreviations and medical terms when I can. Thank you so much for sharing your story and photos, Erin. Jameson Noonan was diagnosed at 4 months with genetic heart disease, called Hypertrophic Cardiomyopathy. Hypertrophic Cardiomyopathy (HCM) is a condition in which the heart muscle becomes thick. Often, only one part of the heart is thicker than the other parts. The thickening can make it harder for blood to leave the heart, forcing the heart to work harder to pump blood. Well, here’s his story. We took Jameson in for his regular 4 month appointment. 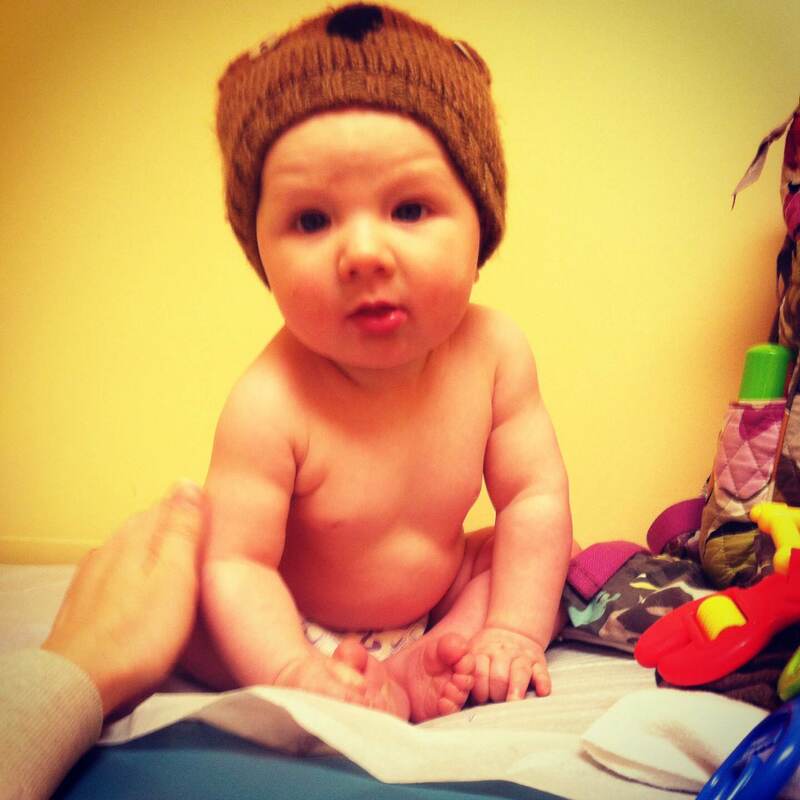 Everything was going great until our pediatrician listened to his heart. I knew something was wrong, since she had the stethoscope on his chest for a long period of time. She seemed a little concerned, because she had never heard the murmur before. She gave me the option to wait it out and come back in two months and the hole will most likely have closed up, since that is what they thought it was, or go to A.I. DuPont and see a cardiologist to get it checked out. As I was leaving I looked at Jameson’s pediatrician and asked her “As a mother, what would you do?” She said take him to A.I., and that is exactly what I did! I was able to get Jameson into A.I. DuPont the next day. He did great with his EKG and echo! They saw some abnormalities in the EKG, but they told me that they would know more when they saw the results from the echo. Well, the doctor finally came into the room and bombarded me with the news that my baby has HCM and his condition was very severe. At this point, I wasn’t sure if this was the same disease my mother had, so I wasn’t given any knowledge on his condition. I then went home very numb, confused, and alone. After a few days, my husband and I decided to switch to CHOP (Children’s Hospital of Philadelphia), they have a team of doctors and nurse practitioners that specialize in just what Jameson has. We then had to wait a whole month until our next appointment there, the LONGEST month of my life! November 22nd finally came and that is when we were able to see his heart from the echo and we were able to get more knowledge. We found out that Jameson has a mild obstruction to his heart and his septal thickness is 9mm. We were told they wanted to attack his condition aggressively with medicine. Jameson is now on medicine 4 times a day. He will be on medicine for the rest of his life. Because he is so young and it is very uncommon for infants to get HCM, they wanted to see him back in a month and see if his heart was adjusting to the medicine. We went back to CHOP the day after Christmas and we got some good news, Jameson’s heart was stable! His condition is still very severe but the heart muscle did not get any thicker! There is no way to know if Jameson’s heart is going to be alright or not. His condition is a ” time will tell” situation. We can only hope that he will continue to fight and be here with his family! 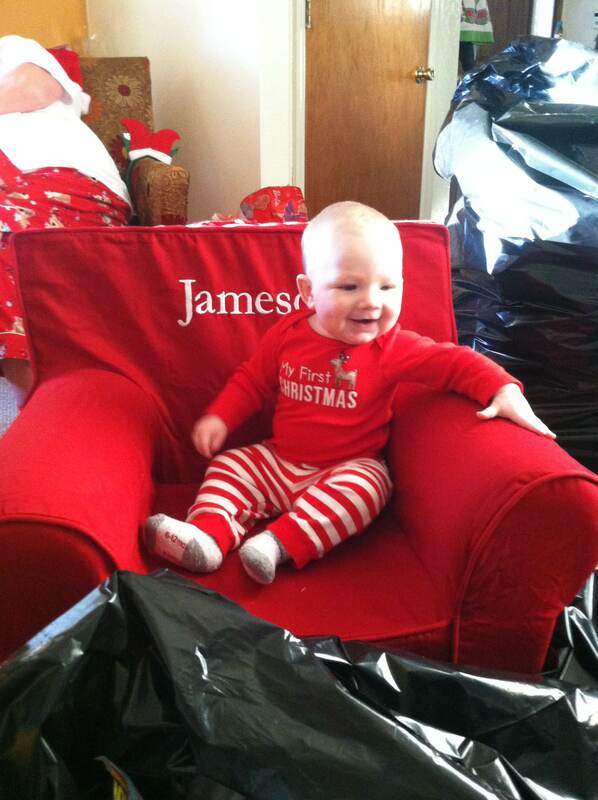 what a beautiful baby boy… Jameson and his family will certainly be in my prayers…. What a neat idea to share the stories of others! 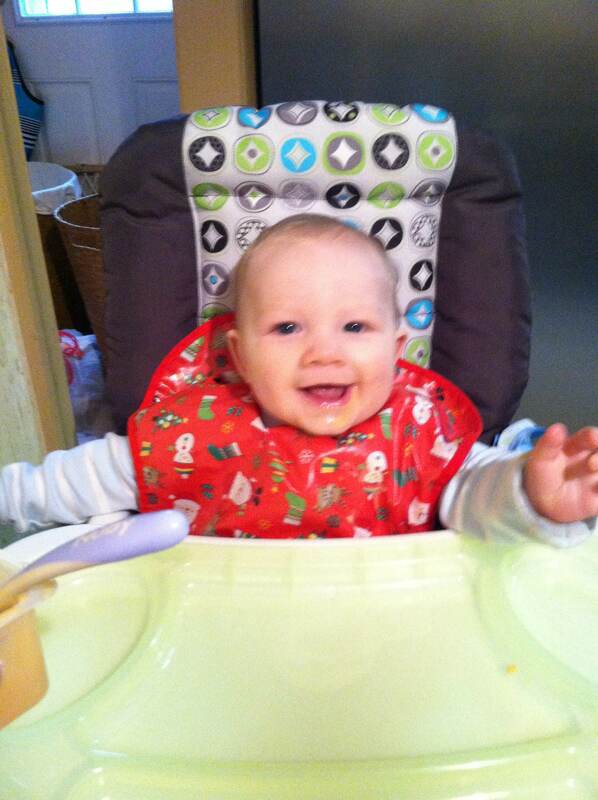 Jameson is such a beautiful boy…my heart is full of prayerful hope for them! This story is exactly the same as my baby boy Jaxon…..we celebrated his 3rd birthday at the weekend.